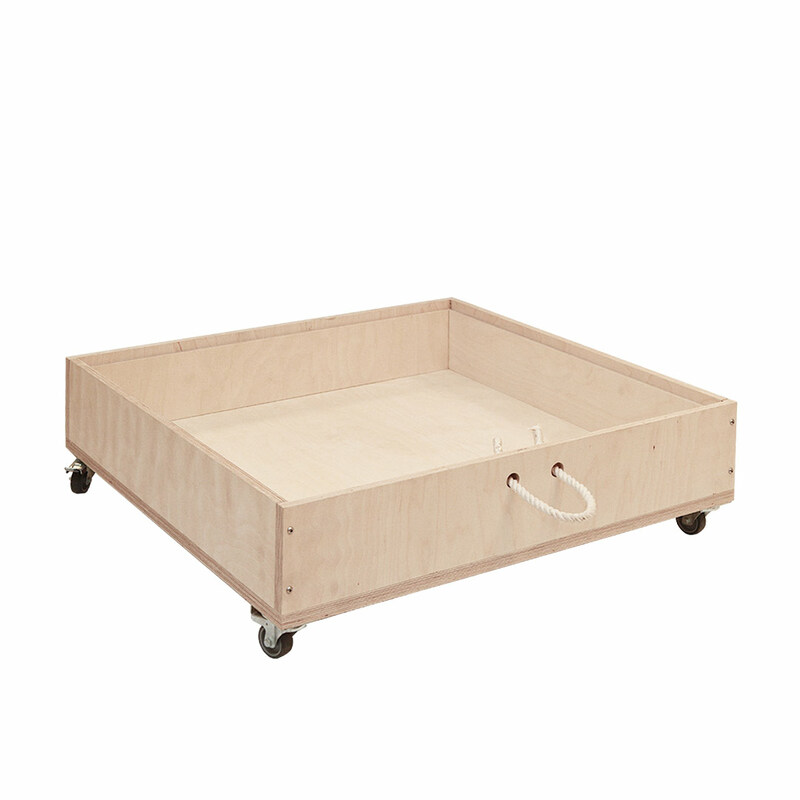 The brilliant Kielder Spacesaver Storage Box by Multiply is a funky mobile storage unit made from quality birch ply. The large square storage box is beautifully crafted with rope handles attached to the sides and removable cover. 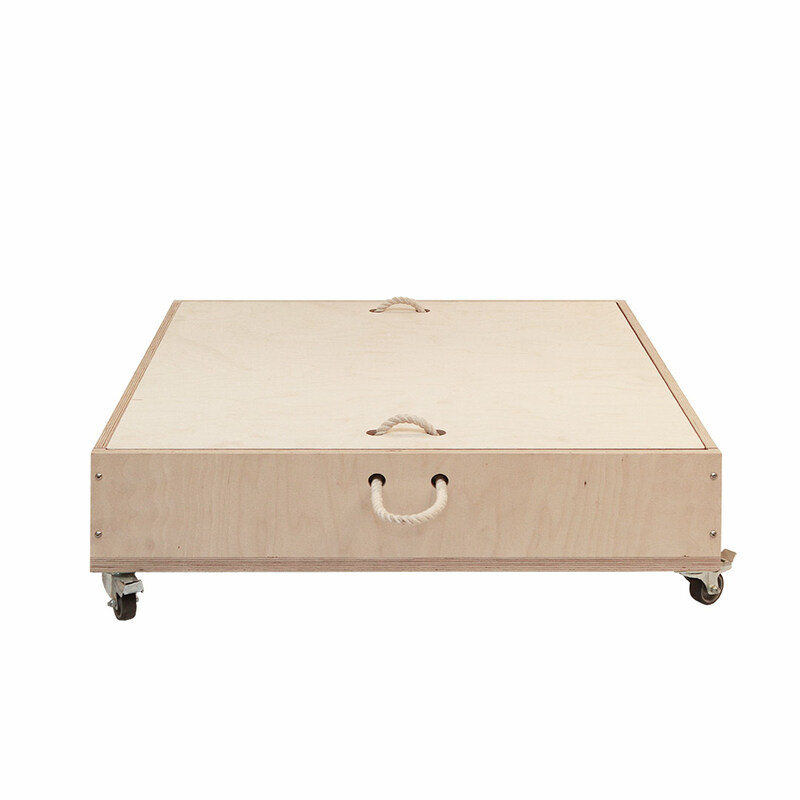 It’s mounted on castor wheels, making it wonderfully easy to move around and to stash odds and ends neatly underneath furniture. This generously sized storage solution is a wonderful addition to any modern nursery, kids room and home office. Designed and made in South Africa from sustainably sourced birch ply wood and hand finished with a matt varnish. All paints used are non-toxic and lead-free.